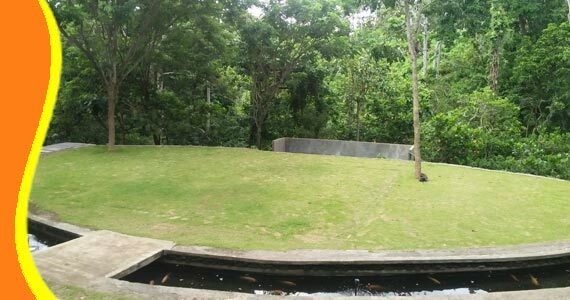 Mandala Wisata Wenara Wana Sacred Monkey Forest Sanctuary in Padang Tegal Ubud. The Monkeys are very important to the Balinese culture. This importance is reflected in dances and stories such as the Kecak and the Ramayana, in statues, carvings, and many folk tales. It is important to treat the monkeys with respect as this forest is their home and you are guest in it. Please remain on the paved paths. The monkeys may become aggressive if you invade their private areas (Wanara Wana staff and researcher may occasionally be seen in this areas-please do not follow them). It can often seen how the Balinese Macaques are cracking open coconuts. If available they like to eat bananas and papayas too. One taken please leave the fruit with the monkeys. 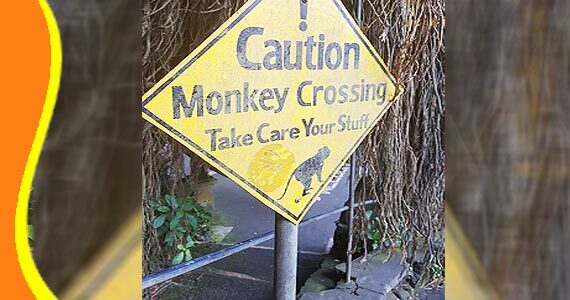 If you wish to feed the macaques, please do so carefully, and if they take food from you, please do not attempt to retrieve it. 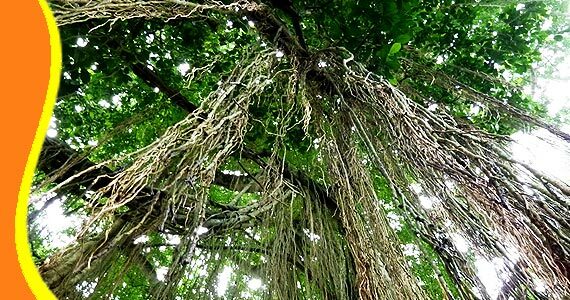 It is also of great importance that you treat the trees, the plants and other animals and structures within The Sacred Monkey Forest with great respect. Visitor of Ubud Monkey Forest allowed to take pictures with monkey and forest. 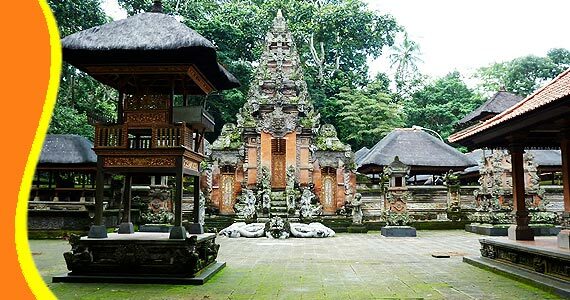 - The Pura Dalem Agung Temple is located in the southwestern portion of the main forest area. 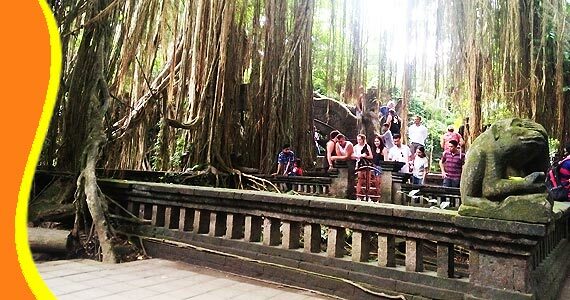 This temple is the most prominent temple in the Monkey Forest. - To the northwest, down a long flight of steps and next to the stream, you will find the Holy Bathing Temple with a structure of the `Three Mandalas`. The Utama Mandala, in the most northern position is the area of the God. The Madia Mandala, for disciples of the deities, is located at the cener and contains the holy pool. The Nista Mandala, at southern bridge, is the special bathing place for human beings. - The third temple, at the Pura Prajapati (the funeral or cremation temple) is located on the eastern edge of the main forest, along side a graveyard. The Big Temple inside Ubud Monkey Forest. In additional to the three temples, there are also two graveyards. 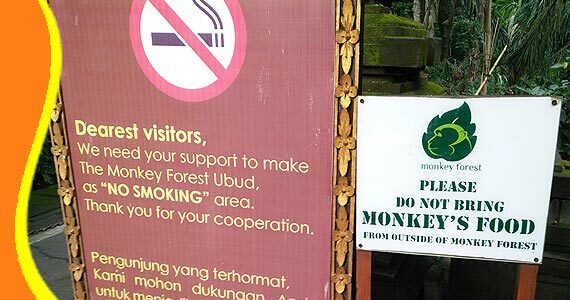 The monkeys that live in this sanctuary are called Balinese Macaques. Also known as long-tail macaques. Their scientific name is macaca fascicularis and aside from humans, macaques are the most widespread and successful of all primates. About 600 macaques currently reside in this Monkey Forest. The are approximately 77 adult males, 194 adult females, and 334 young monkeys. These macaques live primarily in three clusters of females and males. Each of these groups tends to use different areas of the forest at different times of the day. 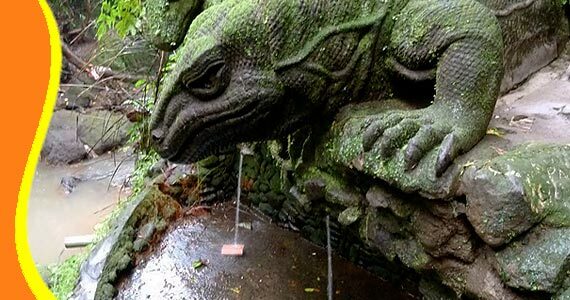 The Sacred Monkey Forest Ubud serves not only as an important component in the spiritual and daily lives of the village, but is the site of several research and conservation programs. The maintenance and management of special place like this pull the attention of researcher from all over the world. 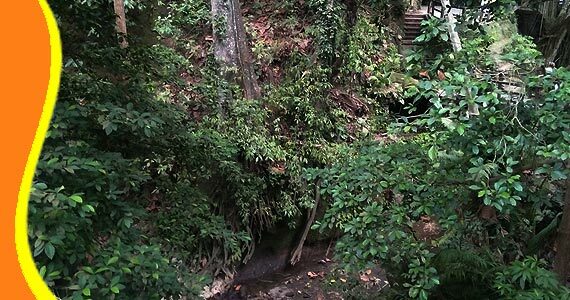 Especially the interactions between human beings and the monkeys of this sacred place are subject to surveys and research studies. 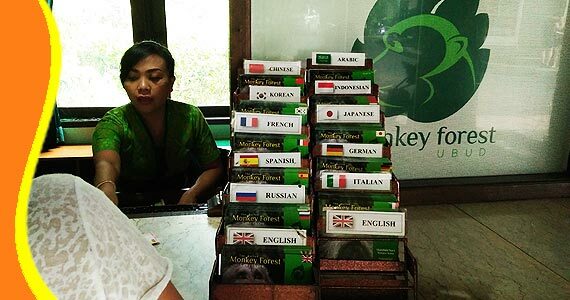 You can buy Ubud monkey forest entrance ticket in this counter and available for brochure. 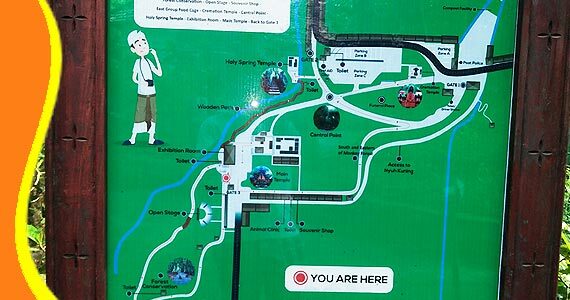 For further explanation and information about Monkey Forest Bali, Ubud Bali Monkey Forest, Ubud Tour, Monkey Forest Ubud Ticket fee and Transport. Get a Bali Transport from your stay (Bali Resort or Bali Hotel). 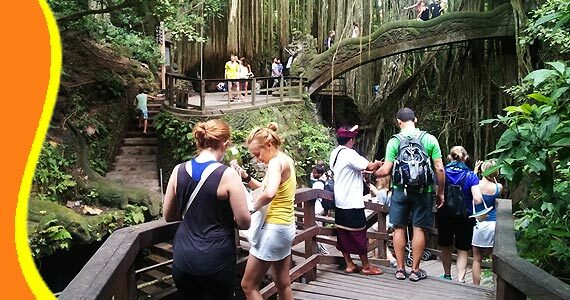 You can contact us if you need transport to go to Ubud Monkey Forest and other related Bali tourist destination. The two monkeys in Ubud Monkey Forest playing together. 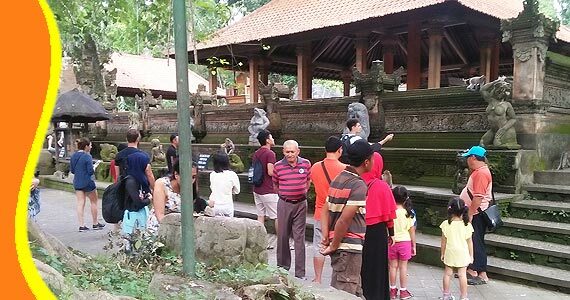 Tour to Ubud Monkey Forest Gianyar Bali can be combined and implemented in conjunction with other activities Trip or Tour in the same direction. 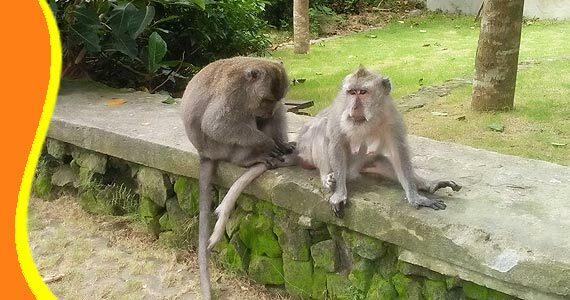 Watch Youtube Ubud Monkey Forest Bali Video Player and see how beautiful also so friendly there all.